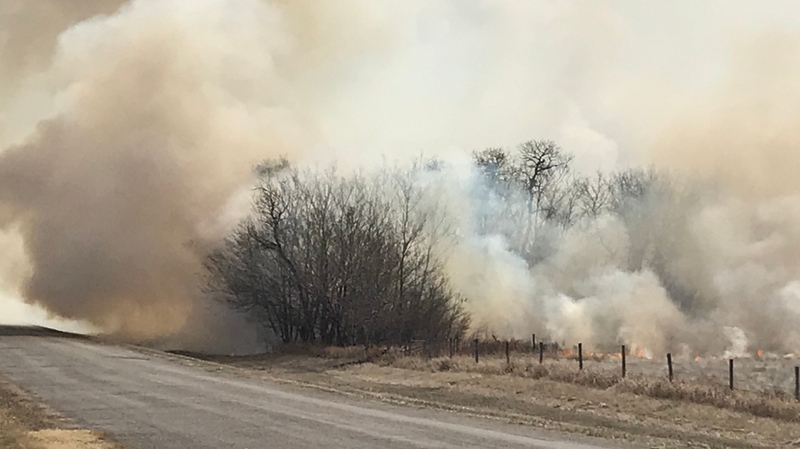 The Saskatoon Fire Department is responding to a grass fire which started near Riverside Estates and moved into Cranberry Flats. Neighbour Kendra Dilsner says her fiancé alerted her to the fire while she was on campus studying for exams. The department received a 911 call reporting trees on fire in a yard near Riverside Estates just after 2 p.m. Tuesday, the fire department says. The cause of the fire is undetermined but dry conditions are playing a role. 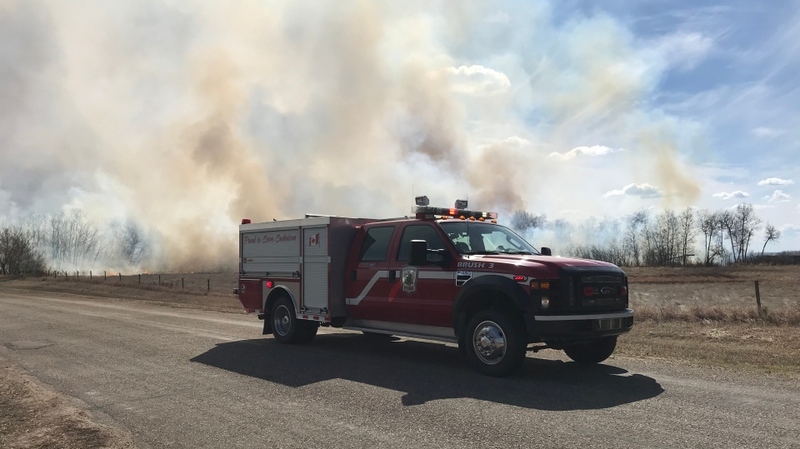 Shifting north and west winds are causing difficulties for firefighters, but crews have a good handle on the flames, Assistant Fire Chief Wayne Roger said. Crews are focused on making sure the fire doesn't reach nearby homes and livestock.